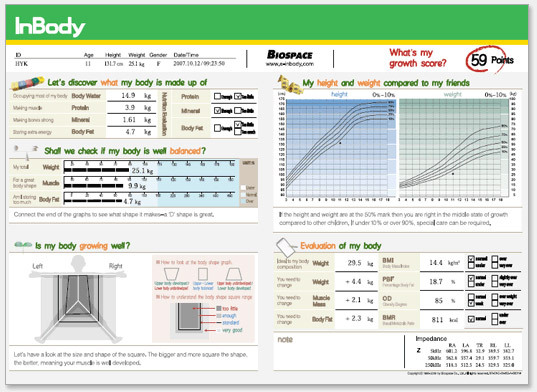 The multifrequency body composition analyser InBody720 of Bodyspace is top among body compositions analysers for experts and researchers, with 0,984 accuracy in correlation to the DEXA scan and 99% repeatability. The measurement is carried out via the method of bioelectrical impedance (DSM-BIA) for every part of the body using 6 different frequencies (1kHz, 5kHz, 50kHz, 250kHz, 500kHz, 1000kHz) in each one of the five parts of the body with the quadrupole 8-point tactile system. 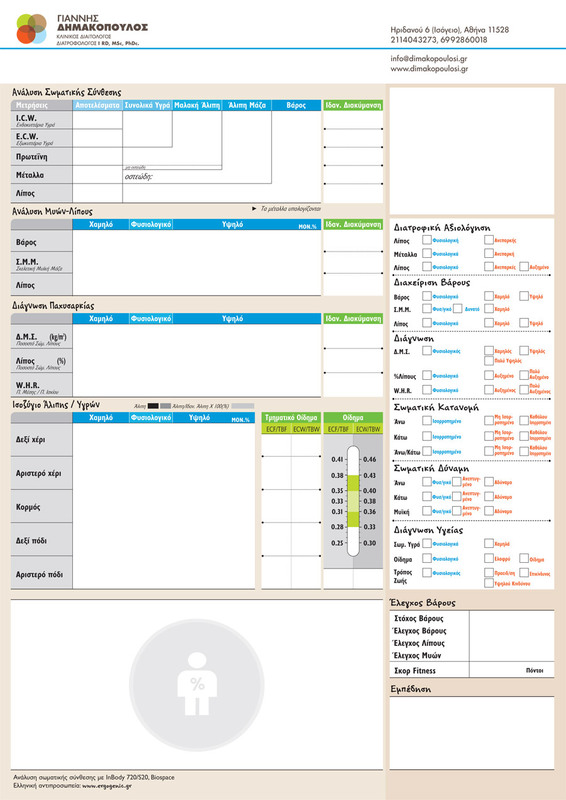 In addition, InBody720’s connection with the Lookin’ Body software of Biospace company, through P.C., allows for the downloading of unlimited measurements per person while supporting the production of graphs that present in detail the client’s progress concerning his body composition throughout his effort.